I have to confess that I know absolutely nothing about the Jersey Shore. I am from New England and the beach to me has always been Maine. When I was asked to shoot a wedding at the shore I was so excited! 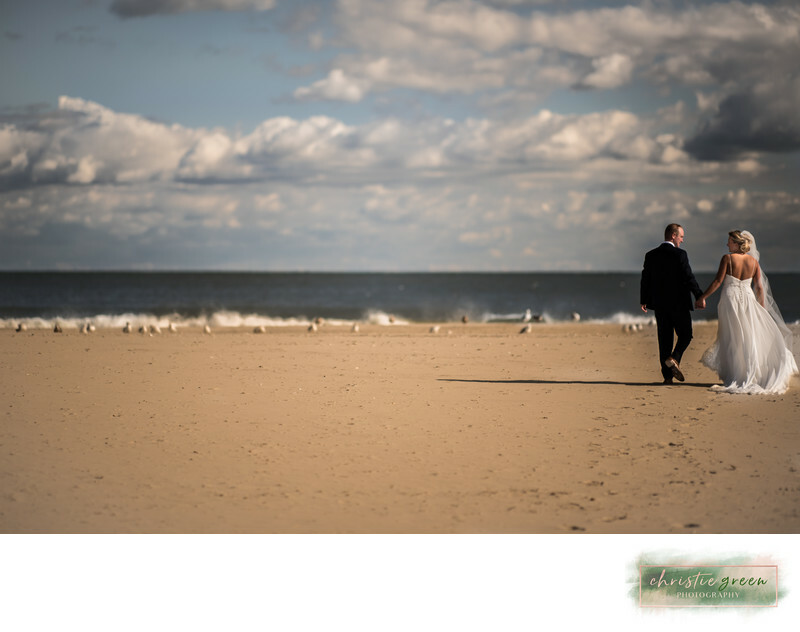 The couple grew up going to Sea Isle and knew that it would be the perfect place for their wedding. The ceremony took place at St. Joseph Catholic Church in Sea Isle. After the ceremony, we spent some time traveling around on the Jitney to various photo locations. Photos on the beach were a must. It was the end of September, and a little blustery. The beach was empty, aside from the seagulls. We had the beach to ourselves for photos and the results are amazing. After we ran around on the beach in Sea Isle, we traveled to Stone Harbor to the Yacht Club of Stone Harbor for their reception. I learned a lot about the shore that day and had so much fun with this couple! I would shoot a Jersey Shore wedding again in a minute! Location: Sea Isle, New Jersey.